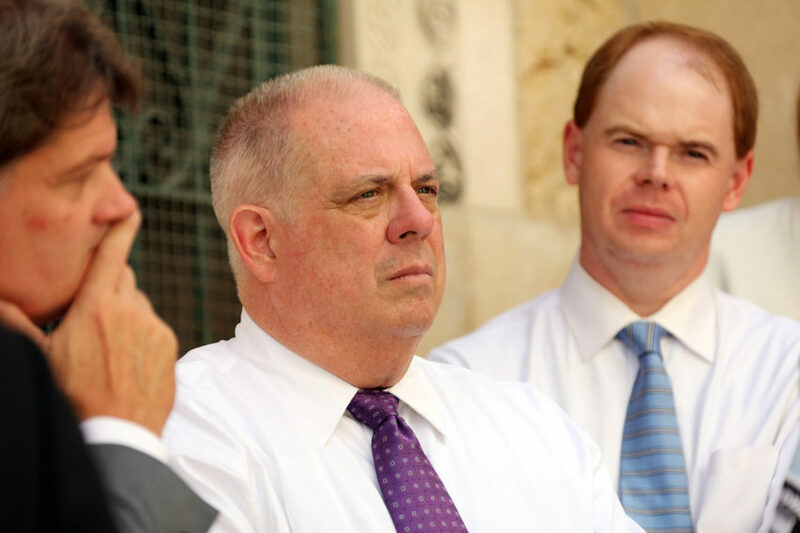 1) National/Maryland: Writing in the Washington Post, In the Public Interest’s Jeremy Mohler points to the problematic results of poorly conceived ‘public-private partnerships’ across the country while calling into question Republican Governor Larry Hogan’s flawed $9 billion plan to add tolled express lanes to the Capital Beltway and Interstate 270. Books Through Bars and Book ‘Em are supporting a petition spearheaded by the Amistad Law Project that calls for an end to the new policies as they “further punish, restrict and control people incarcerated in PA prisons.” Over 7,300 people and counting have signed the petition. 10) National: Watch your wallet, municipalities. There’s a not-entirely-new idea going around Wall Street to tie revenue-producing public assets to pension obligations. It’s currently being touted by a University of Chicago professor who “is also the Managing Director for Fixed Income at Greenwich Investment Management, a firm specializing in high yield municipal bonds.” (Some impolitely call these junk bonds). “The transfer enables the asset to be accounted using its higher market value to boost funding ratios. Admittedly valuing public assets is not easy in that there isn’t a ready market for public assets. That said there have been numerous privatizations of public assets and public private partnerships across the country to arrive at a reasonable value—notwithstanding parking meters.” [Sub required]. Needless to say, tying public asset revenues to any one item, such as pensions, would reduce the ability of elected officials to make choices on which public needs to spend those revenues. 13) Florida/Georgia/National: Chalk up another P3 disaster. Efforts by the City of Jacksonville to protect itself from the impact of a ruinous ‘public-private partnership’ deal to build two nuclear power plants in Georgia and get ratepayers to partially pay for it have gotten the city and its utility into hot water with Moody’s rating agency. “Litigation filed by Jacksonville, Florida and JEA in an attempt to invalidate the utility’s contract to buy nuclear power led Moody’s Investors Service to downgrade nearly all credit ratings of the two entities late Thursday. Jacksonville’s issuer-credit rating was lowered to A2 from Aa2. Six of the city’s credit ratings were also downgraded by up to three notches each, affecting about $2.1 billion of outstanding debt. The outlook was revised to negative from stable. Most of JEA’s electric and water bond ratings were also downgraded by three notches, including its senior lien electric system revenue bond rating, which was lowered to A2 from Aa2. The outlook remains negative.” [Sub required] And wait till the legal bills for this multisided, multiyear litigation start rolling in. 27) Puerto Rico: The Puerto Rico Oversight Board, the governor, and bond insurers are all battling over control of PREPA, the island’s electricity authority. [Sub required]. Bondholders have renewed their efforts to have a receiver appointed for PREPA. 1) Missouri: Today at 6:30 pm local time there will be an Aldermanic Committee Meeting on a proposed ordinance to require a public citywide voteon any proposal to privatize Lambert International Airport. (Greater Pentecostal Church 6080 West Florissant Avenue). See “10 Things To Do/Not Do To Help Stop Lambert Airport Privatization.” There was a solid turnout at a hearing on Saturday.